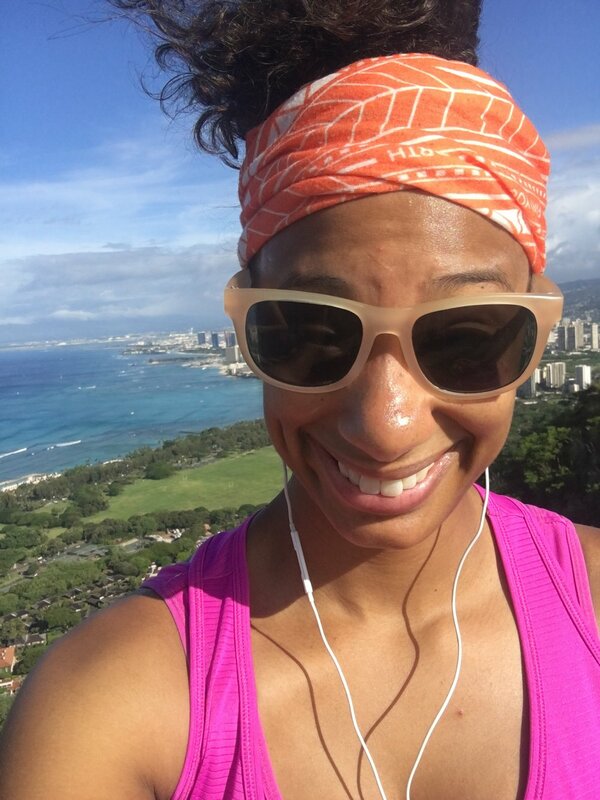 A few weeks ago, I found myself on a trip to Honolulu, Hawaii. Quite unexpectedly too! Nevertheless, I was incredibly excited to visit Honolulu. 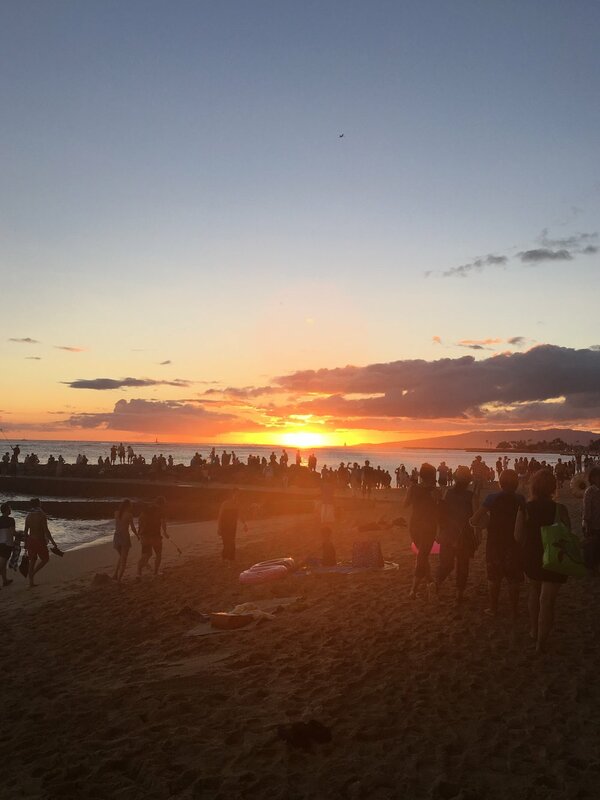 It was my first time to Hawaii and I couldn't wait to explore what Honolulu had to offer in the 24 hours that I was there. After getting settled at the hotel, a few crewmembers and I went out for a lovely walk along Waikiki Beach and ended up at Shore Bird Restaurant and Beach Bar. At this restaurant, you can order a kabob and grill it yourself on their huge grill! They have posters with cooking times for those who aren't sure about grilling. And if you're really not sure, you can ask to have the chef grill it for you. This is what we ended up doing - one person in our party didn't feel comfortable grilling. With the kabob, you also get the all-you-can-eat salad buffet. It is quite a spread, which includes traditional salad bar ingredients and more (think chili, garlic bread, etc.) One shining star of the salad bar is the fresh pineapple. OH MY GOODNESS YOU GUYS. This pineapple was the freshest pineapple I'd ever had. So juicy and sweet! A lot of people were grilling their pineapple slices - something I'll have to try when I go back! ? After dinner (and a few Mai Tais), we walked back along the beach. The sunset was absolutely gorgeous. I had to take a picture of it - as did hundreds of other tourists. Pictures really pale in comparison to what it looked like IRL. The next day, I was up before the crack of dawn and decided to hike Diamond Head, a volcanic crater and state monument. In earlier years, Diamond Head was a part of Fort Ruger, a military reservation. The location of Diamond Head was prime for coastal defense. Today, the monument is a popular tourist destination, as evidenced by my hike to the summit. People of all ages were hiking that morning. It's not a long trail, but it's certainly not easy either. As an active person and a semi-experienced hiker, I was tired when I got to the top. The trail is narrow and has quite a few staircases and tunnels to navigate. However tough the hike may have been, the views were all worth it. There are many rest locations just off the trail for you to gather your strength and admire the views. There are quite a few bunkers at the summit, leftover from Diamond Head's time as a military reservation. You can climb into some of these bunkers and get great views of the surrounding area. p.s. I know Hawaii is the 50th state. It's the 47th state I've visited. Iowa, North Dakota, and Vermont, here I come!